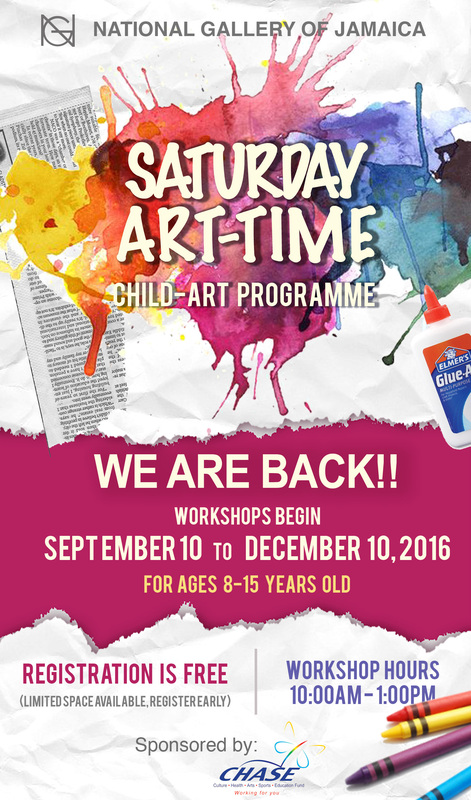 The National Gallery of Jamaica (NGJ) is pleased to announce the resumption of its child art programme, Saturday Art-Time, on Saturday September 10, 2016. The programme, which has been active since September 2009, has been on hiatus since March 2015. Having renewed grant funding, the NGJ’s Education Department is looking forward to presenting new workshop activities to participants alongside staple programme art-making offerings such as drawing, painting, assemblage and collage. 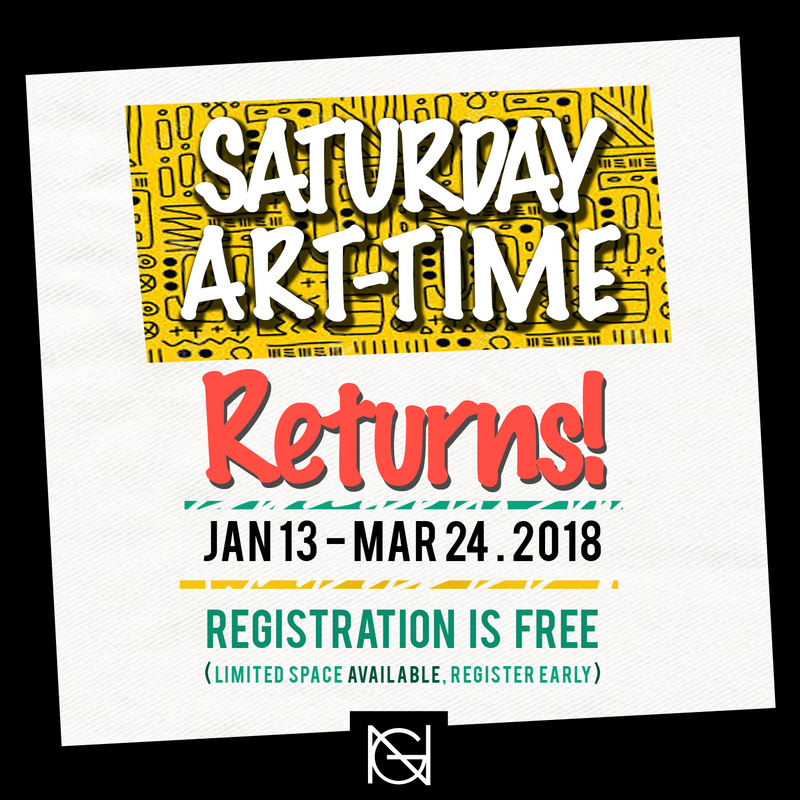 With new offerings such as animation, the young participants of Saturday Art-Time will continue to be given opportunities to learn about Jamaican culture and history through the gallery’s permanent collection as well as its temporary exhibitions. 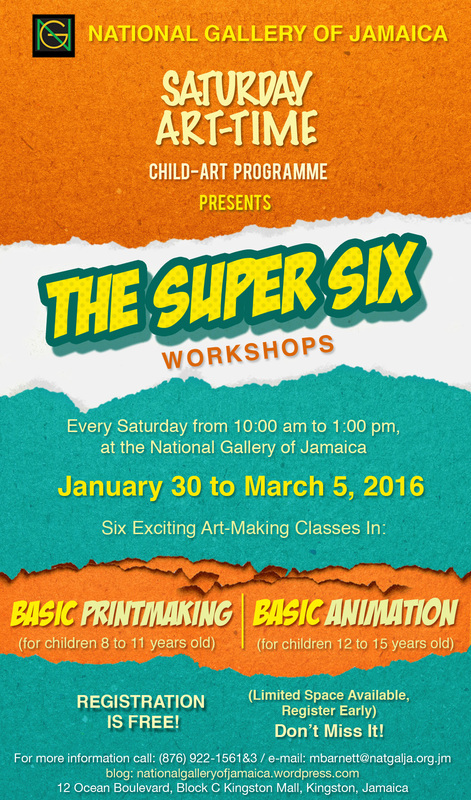 Geared towards participants aged 8 to 15 years old, Saturday Art-Time has been a popular part of the National Gallery of Jamaica’s programming for its younger patrons and has been favoured by participants from a variety of social backgrounds. The present workshop series will be held during the 2016-2017 school year, with the first semester ending on December 10, 2016. The programme will also be accompanied by a child art exhibition entitled Art’iT, which was was previously held in 2011 and 2013 and reflects the effectiveness of the workshops and the enthusiastic participation of the children. Through Art’iT, which will be held towards the end of the school year, the programmes child artists receive a public platform on which they can exhibit their art and contribute to the diversity of the Jamaican artistic community. 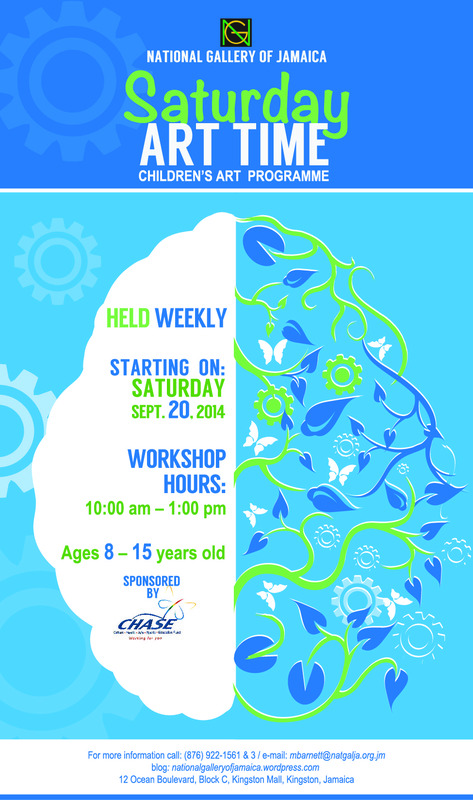 The workshops, funded by the Culture, Health, Arts, Sports and Education fund (CHASE), will be held every Saturday morning from 10:00 a.m. to 1:00 p.m. at the National Gallery of Jamaica. The workshops will continue to be free of cost, but space is limited so applicants are encouraged to register as soon as possible. Registration forms are available at the National Gallery. For more information, contact the National Gallery’s Education Department at 922-1561/3 (Lime landline) or 618-0654/5 (Digicel fixed line) or via e-mail at info@natgalja.org.jm. The National Gallery of Jamaica presents the second edition of Art’ iT – a selection of artworks produced by a number of children who are participants in the Saturday Art Time Programme. The exhibition is free to the public and will open on Saturday, June 22 at 11 a.m. in the Information Centre at the Urban Development Corporation, (Office Centre Building – 12 Ocean Boulevard). Art’ iT is an expression which beckons the creative impulse to come forth and be reckoned with. As such, the artworks selected do not only reflect the children’s basic response to an assignment. They highlight, instead, the children’s unique responses to questions about their curiosities and the diverse urges of their developing imaginations. Saturday Art Time started in 2009 and seeks to provide children with a set of organized activities, which encourages them to think critically and speak sensibly about works of art, particularly, works of art which form part of NGJ’s Collection. Since its inception, the works have been archived and in 2011 Art’ iT was launched as the first exhibition solely of children’s visual art works mounted by the National Gallery.